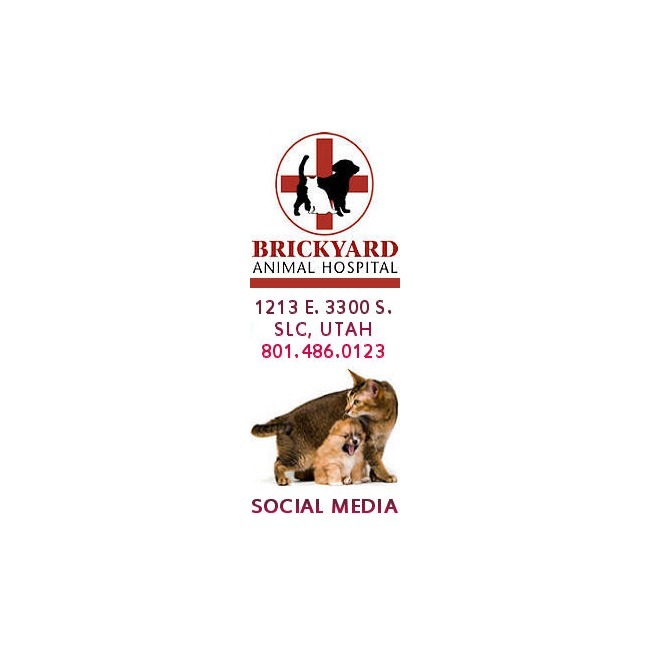 Brickyard Animal Hospital was founded in 1950, and has been faithfully serving Salt Lake City, Millcreek, Cottonwood, Murray, Midvale, Sugarhouse and Olympus Cove residents and their pets ever since. Our philosophy is to treat every pet like it's one of our own, and to provide the best quality service and care available anywhere in Utah. The doctors at Brickyard Animal Hospital are licensed veterinarians, and members of the Utah Veterinary Medical Association and the American Veterinary Medical Association. We encourage continuing education for our staff and doctors to make sure our people are up-to-date with the latest information and technology to serve you and your pet. Our modern facility is a full service hospital capable of meeting your pet's every need. We have relationships with many of the top veterinary specialists in Utah which allows us to offer specialized surgeries, diagnostics, and eye treatments. Brickyard Animal Hospital is a modern, full-service facility where we can provide for almost all of your pet's health care needs. In addition to the usual services offered by most clinics, Brickyard Animal Hospital has added capabilities that make us the best choice when selecting a veterinarian for your pet. We use the latest technology, such as Digital X-Ray and the OFA Method for measuring Hip Dysplasia, to give your pet the best possible care. Dr. Sharp has over 30 years of experience with ear cropping in all breeds of dog and is one of only a few remaining veterinarians in Utah who still performs Ear Cropping Procedures. 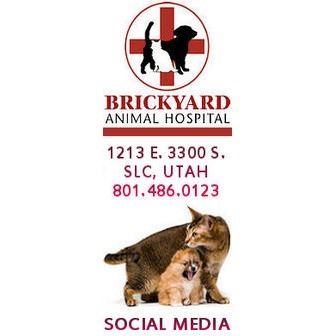 For any services or procedures which cannot be performed by our in-house staff, Brickyard Animal Hospital has relationships with the best specialists in Utah. Our referral service helps you find the right specialist for your pet's needs. Many specialists can perform their examinations and procedures at our facilities to make things as simple and comfortable as possible for you and your pet. Please feel free to Contact Dr. Allen with any questions about our Services, Facility, Careers and Media related inquiries. Our modern facility, full hospital services, and modern technology are some of the reasons why Brickyard Animal Hospital is the best choice for your pet's health, but our staff and doctors are definitely our most valuable assets. Our people make up the most important part of the Brickyard Advantage, and that means quality care and service that sets us apart from other hospitals and clinics.